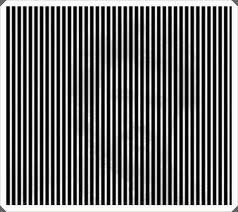 To see the picture in this image, you have to shake your head. Staring at the picture doesn’t work — the picture only comes through because of another action. It is a by-product. This is true of a lot of things in life: happiness, contentment, and money rarely if ever come by focusing on them. Some businesses chose to make money their primary goal. Profit is a great goal for a company, but when your customers sense that they are simply being squeezed for cash, they flee. This sometimes creates a death spiral where each lost customer means more must be squeezed out of the ones remaining, only to have them cancel their orders even more quickly. No one wants to just be a source of cash for someone else. Money in business is a by-product of servicing your customers extremely well. As one of my friends puts it, “You should deliver far more value than your customer pays for”. It’s not just businesses that suffer from this problem. When we make striving for contentment or happiness a goal, it becomes ever more elusive. Happiness and contentment come from doing things that matter. They are by-products of focusing on things which are important and that are typically outside of ourselves. I’ve heard that one of the best ways to get out of depression is to go do something for others – belly watching doesn’t help anyone, including the person looking at their belly. Contentment in life is not found by searching for contentment, it is a by-product of living life well.